This is the ultimate feel good food. 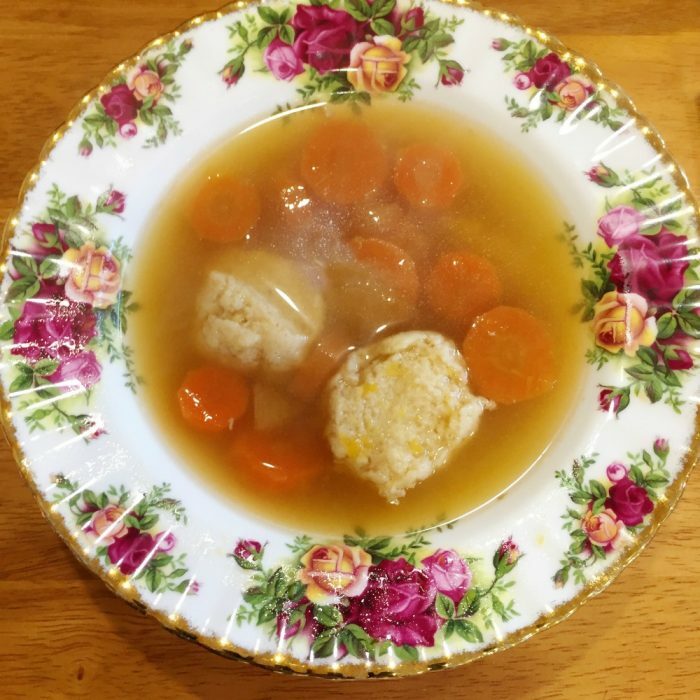 There’s a reason why they call this “Jewish Penicillin!” No one makes chicken soup like my Auntie Sandra! Sssh! This is her secret recipe. After my thryoidectomy my auntie sent me a container of the chicken soup powder because everyone knows chicken soup makes everything better. It was a bit late arriving because it had been intercepted at customs – haven’t you watched Border Security? I was so excited to collect my parcel at the post office and opened it immediately. Patience has never been my strong point, and I was so excited I opened the container right there on the street. I didn’t realise that customs had actually broken the seal on the container or that a big gust of wind was coming and as I opened up the soup mix, the wind blew and left a cloud of chicken powder mix in it’s wake! 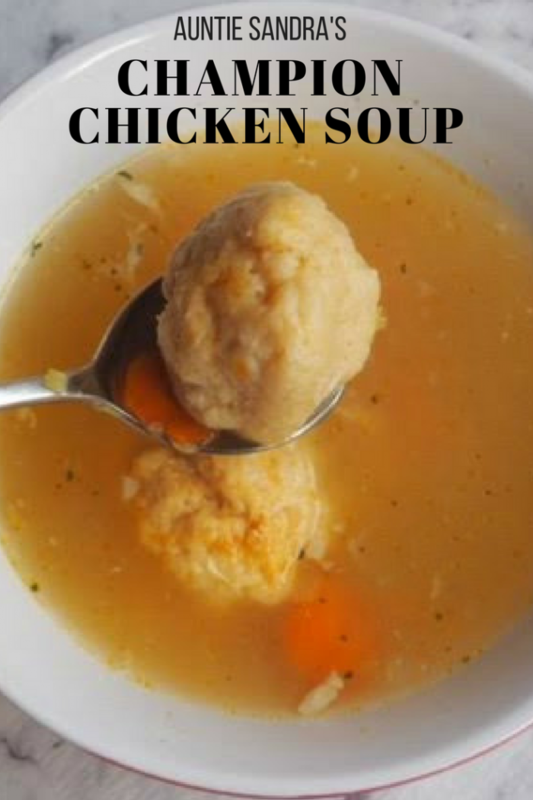 From that day forward, I sourced my own chicken soup mix from the kosher aisle in the supermarket, although chicken stock cubes work just as well. 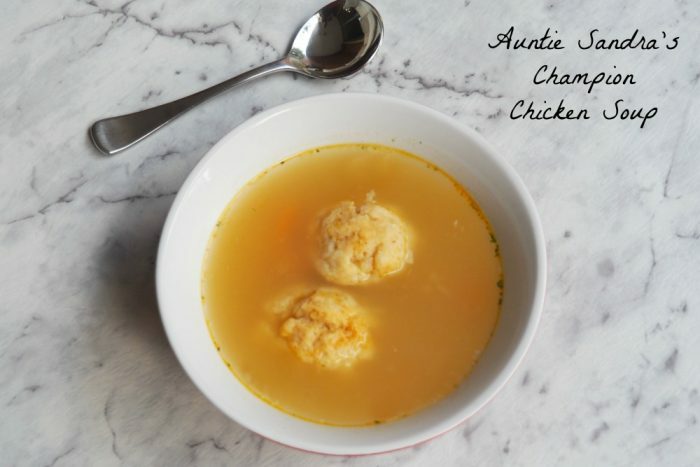 If you want to take your chicken soup to the next level, you need to add some traditional dumplings called Kneidlach but if you don’t have the time, inclination or ingredients chuck in some vermicelli noodles for some value added yum! Add vegetables when chicken comes to the boil, along with stock cubes, pepper, sugar/ketchup and Worcestershire sauce. Leave to simmer on lowest setting for two to three hours until the chicken falls of the bone and vegetables are soft. Add a massive amount of LOVE! TASTE IT as you go and add more stock cubes if necessary. Tip! 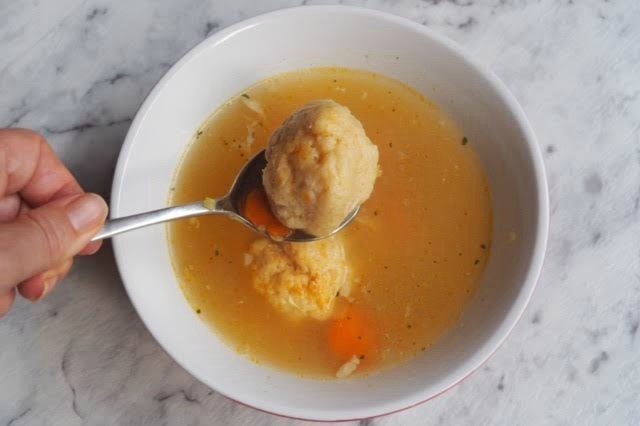 You can find Telma Clear Soup Powder in the Kosher Aisle of your supermarket. I also like to add a bit of vermicelli/angel hair pasta to the soup at the end. 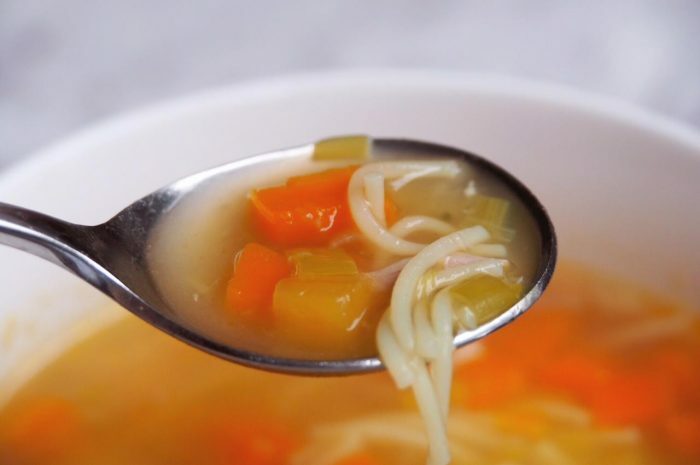 This soup is made for noodles!